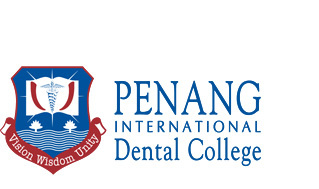 Penang International Dental College (PIDC) is theFirst Dental College in India to offer a Twinning Programme of Bachelor's Degree in Dental Surgery (B.D.S.) by the Vinayaka Missions University at Salem. This endeavor was ventured by the Visionary and Philanthropist, Honourable Dr. A. Shanmugasundaram, Chancellor of Vinayaka Missions University and executed by the Pro-Chancellor of Vinayaka Missions University, Dato' Dr. S. Sharavanan, who is the Managing Director and Chief Executive Officer of Penang International Dental College. The First Batch of Students was admitted in April 2006. Penang International Dental College PIDC, Salem offers various graduate courses as well as Post Graduate courses. Penang International Dental College PIDC, Salem is affiliated to Vinayaka Missions University, Salem. List of facilities available at Penang International Dental College PIDC, Salem for students. This page was last modified on 7 October 2015 at 20:10.